Adding a home solar power system to your life can be exciting. It gives you the opportunity to produce your own energy, save money, and help reverse the effects of global warming. Whether you want to stay tied into the utility grid or go completely off-grid, West Coast Solar can help you achieve your green energy goals. In part III of this blog series, we’ll discuss the 3 types of solar power systems that can be designed for your home. As the solar power industry matured, many thought using solar energy meant going completely off-grid. Although you can go completely off-grid with your power usage, you don’t have to. You can use solar power and still use fossil fuels as a backup. When customers come to us for a custom home solar power system design, we always ask them which type of system they want to utilize. The most popular of the three systems, many of our customers choose to use solar power while still being tied into the utility energy grid. This means that they can take advantage of their solar energy while still being able to use the grid in case of outage, maintenance, repair, or lack of power from their solar system. Granted, the weather can affect solar power energy conversion, but in most cases, our customers see their solar energy reduced or completely eliminating their grid energy-bill. Nonetheless, you can still keep your home tied into the grid. Similar to the type of system above, you can stay tied into the grid and use solar power as your primary energy source. The difference with the second type of system compared to the first is adding a battery backup or storage to your home solar system. A battery or bank of batteries allows you to convert sunlight into usable energy and either use it via your electrical panel or store it in one or more batteries for later usage. This type of system simply takes you one step further from having to rely on the utility grid to power your home. If you want to take your solar power usage to the next level, you can go completely off-grid. 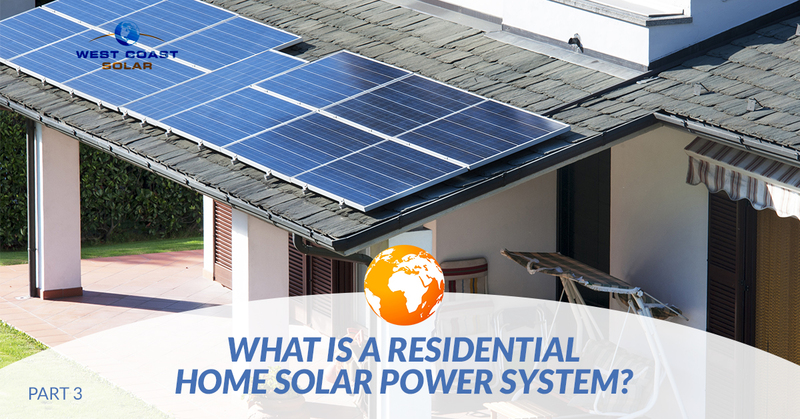 This means your home is not tied into the utility grid, and you rely primarily on sunlight to power your home. Although this may seem extreme at first, our customers have found great freedom in their decision to go green. In this system you will have a battery bank to store power, and many off-grid systems use a generator as a backup power source. When it comes to green energy, those who use it see benefits throughout the entire lifespan of their solar power system. Not only will solar power users be helping the planet and their family, but they will also be saving money and could even help power their community. Why is this so important? Our team believes in powering the entire world with clean energy, which means we’re all in this together. In regards to saving money, you can reduce your utility bill or eliminate it entirely with the use of solar energy. Our customers gain credits from their energy service providers in some cases for power production. You start to heal the planet. Although global warming is a controversial topic, it’s hard to deny the negative effects our carbon-emissions are causing the planet. With clean energy like solar power, we can work to reverse the ever-growing negative effects fossil fuels are causing. When you produce more energy than you use, it gets fed back into the grid and distributed elsewhere for use. Not only are you gaining credits for selling energy to the electric company, but you’re helping power your communities homes and buildings with your green energy. After years of serving Sacramento, we understand what it takes to design, create, install, and maintain the best solar power systems. If you’re considering an alternative energy source like solar for your home, let us help! Call and speak to one of our solar design consultants at West Coast Solar.